I awoke at 5 am before the sunrise. The jeep picked me and Morgan up at 5:30 and drove us through Panama City to a travel company’s office where we paid for our trip and selected which island we would visit. 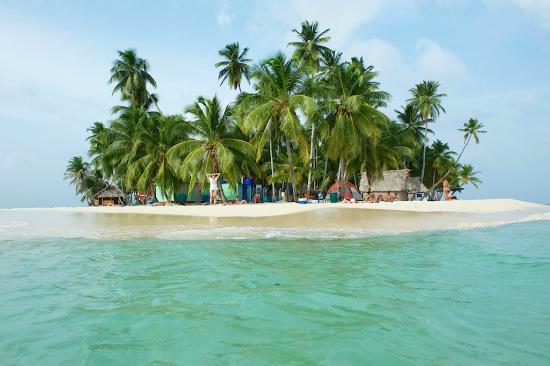 The San Blas Islands are actually an archapeligo of over 350 small islands of which 20 are inhabited and 15 allow visitors. The prices ranged from $10-$150/night. 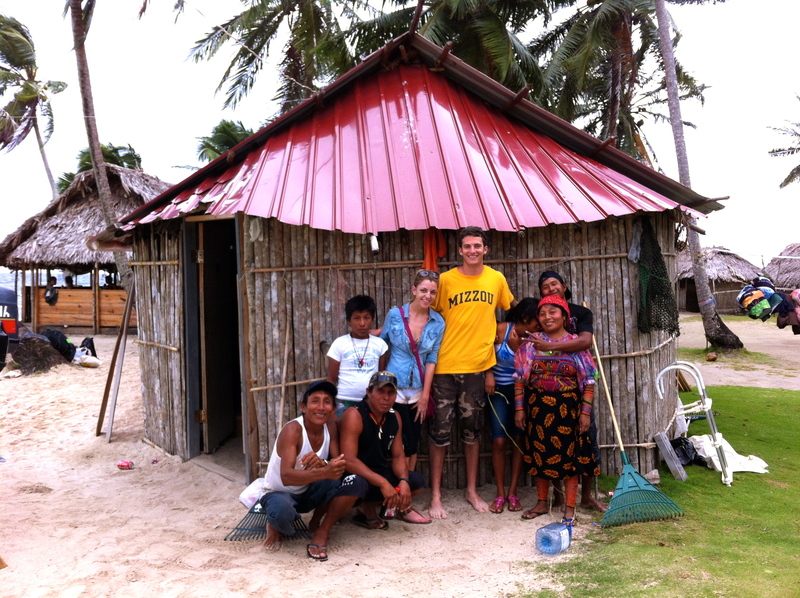 We selected to go to Senidub, which was considered a party island and cost $20/night including meals. 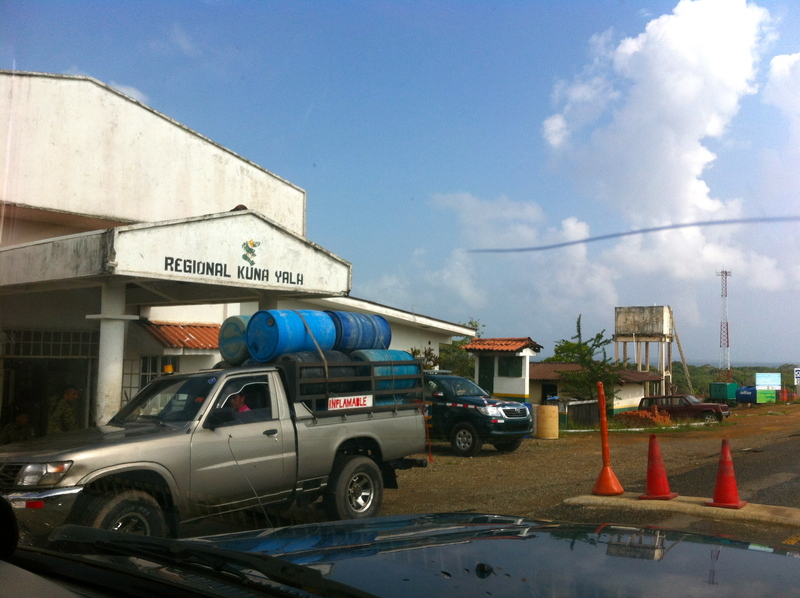 The other people in our jeep were Israeli girls who decided to go to Franklin, which we were told is a quieter island. After paying, we hopped back into the jeep. The jeep ride to the Carti, the main port of the San Blas islands took about 3 hours through the jungle highlands of Panama. The road was one of the steepest and windiest i have ever travelled. Parts of the road were bad, but there were less potholes than i expected. We passed two government checkpoints where they inspected our passports. 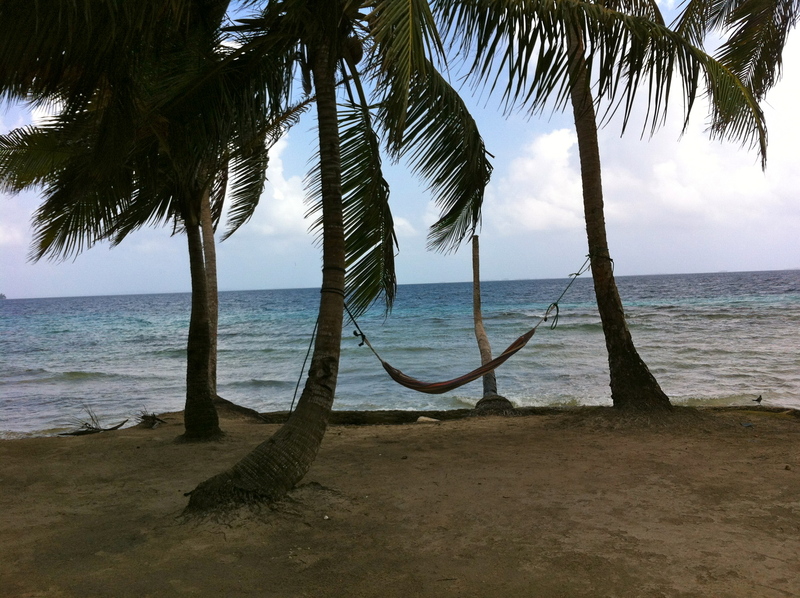 That is because the San Blas islands are considered an indigenous reservation, owned by the Kuna people and are actually autonomous. Many ships sail here to and from Colombia and it is too difficult for the Panamanian government to control immigration on so many tiny islands. Government checkpoint at Kuna Yala border. The “port” of Carti is nothing more than a covered bench and carved steps leading down to the river. After paying a “port fee” of $5, we were allowed to walk down the steps into the boats, which were run by the individual islands. The “ferry” was essentially a motorized canoe with a corrugated steel roof. With 12 people in the boat, soon set sail into the Caribbean Sea. The boat trip took about 45 minutes and equated to a 45-minute salty shower because the waves kept hitting me. Morgan was seated on the other side of the boat and was dry. Luckily the water was warm. 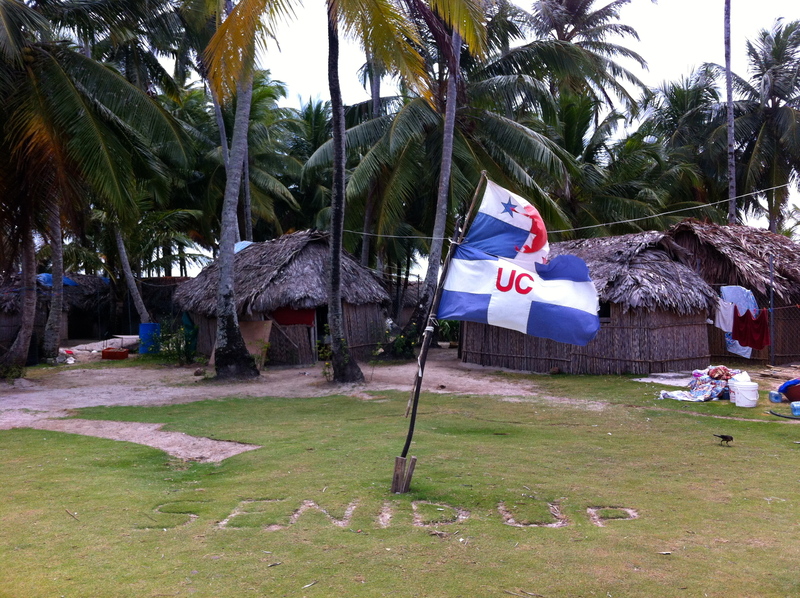 Senidup is a real life version of Gilligan’s Island: it is a tiny tropical island, no bigger than a football field, and full of palm trees, coconuts and thatch huts. However, Senidup had one very strange feature, a chain link fence running down the middle. Why was this fence there? Well it turns out that Senidup Island and Franklin (the quiet island where the Israelis went) are actually the same island. In addition to Morgan and myself, the guests on Senidup side had 6 Germans and 2 Portuguese, while the Franklin side had 25 Israelis. I kept thinking that having Israelis and Germans living on opposite sides of a fence this sounded a lot like the WW2 ghettos. The middle of the island. The fence can be seen behind the thatch huts. Franklin has apparently always been known as the Israeli island. In fact, the boat that takes people between Franklin and the mainland has Hebrew writing on it. 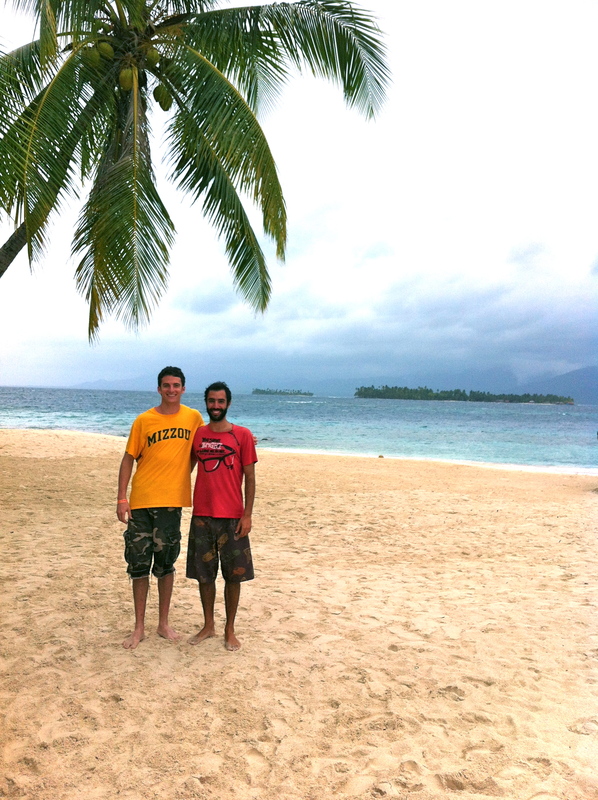 Because there was only 1 beach on the island, both Senidupians and Franklinites had to share the beach. On the beach, I tried to talk to the Israelis (since that’s what backpackers do and because I am Jewish), but they stared me down and refused to talk. We invited them to drink beers and play cards with us, but they refused. Due to my Jewish upbringing, I was always confused as to why a lot of people dislike Israelis, but after my experience on Senidup/Franklin, I totally understand why. While I have met numerous very nice Israelis traveling solo, when they come together as a group, they become very stand-offish. On the other hand, the Germans and Portuguese were absolutely wonderful and very friendly. Just like Lord of the Flies, meals are announced by the blowing of the conch shell. Everyone comes into the open air seating area and food is brought to you. The portions are incredibly small. For lunch, we were given exactly 1 chicken thigh/wing. Meals were served in the hut in the middle. 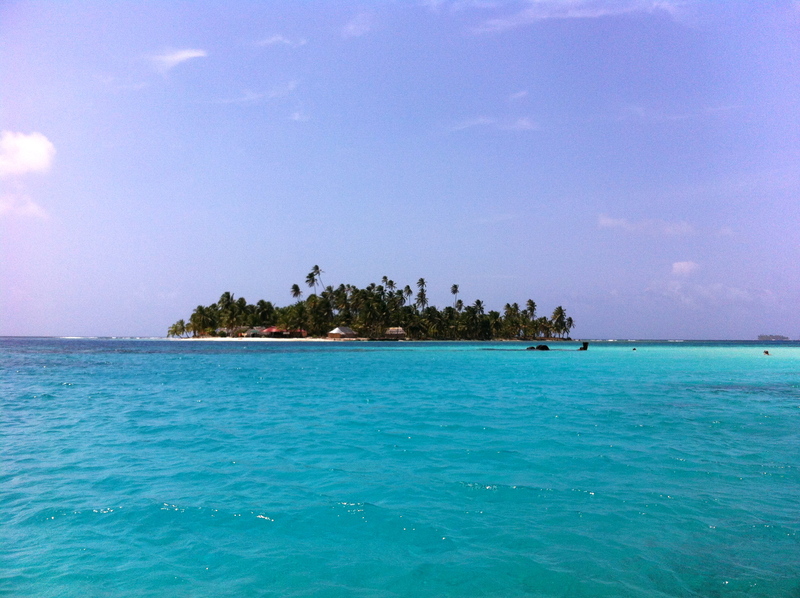 After settling in, I decided to pay $12 to go on a boat tour to some different places in San Blas. 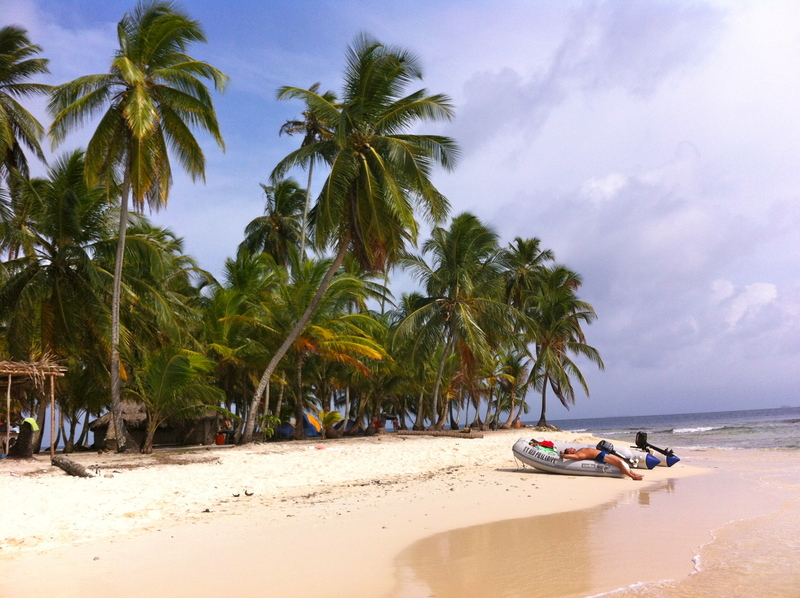 The boat first went to Isla Perro, another tiny beautiful palm tree filled island. On it was a single hut, which served as a general store where there were ladies selling molas. Additionally, there was a shipwreck just off the white sand beach. The snorkeling was okay, but the beach was sublime. On the beach, I met some other tourists including Americans who are actually going to be on my plane back to Miami. They were also doing the “spring break” thing. Our guide, who is the most badass island man out there told me about the Kuna people. Their economy thrives off tourism and coconuts. 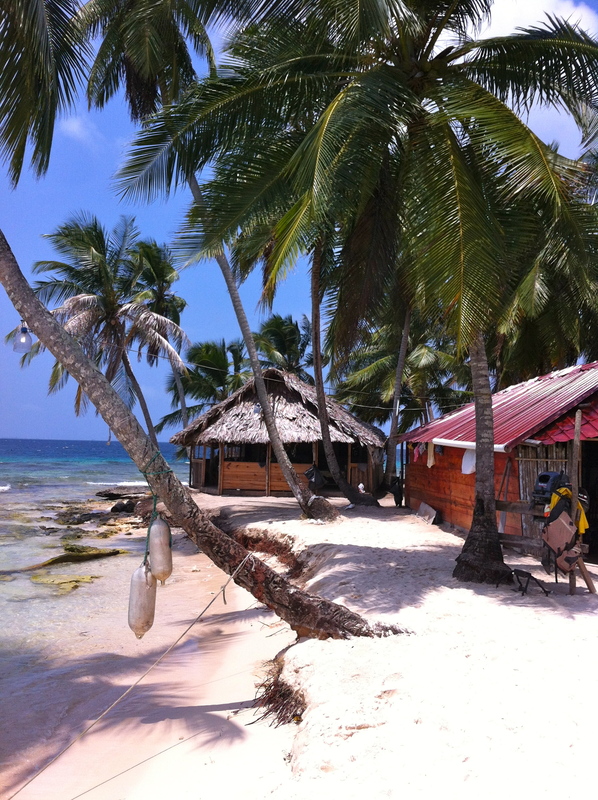 Of the 378 islands in San Blas, 20 are used for tourism and about 200 are used for coconuts, which function as a currency. Ships from Colombia come to the islands to buy the coconuts. After a few hours, we went to a spot in the open water that was 3-4 feet deep. 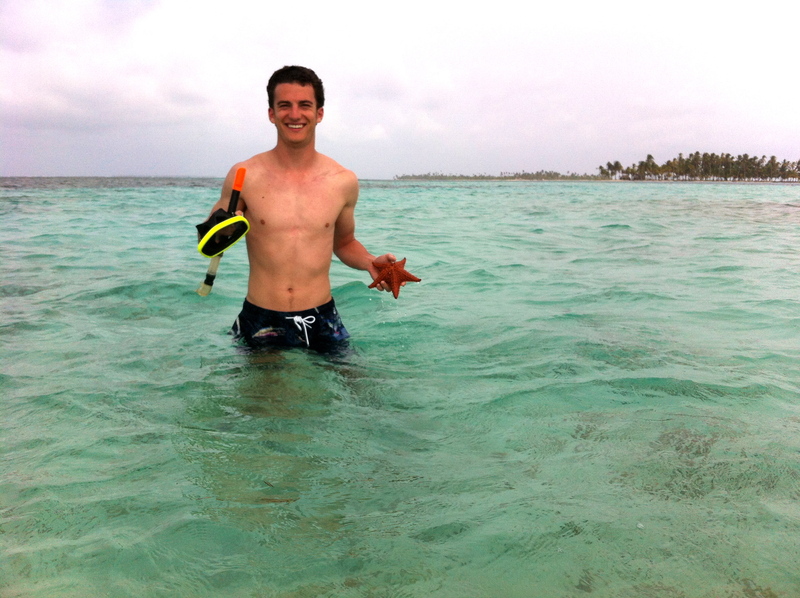 We went snorkeling and saw/picked up sea stars, sand dollars, and sting rays. It was incredible! We headed back to Senidup just in time for dinner. As a group we played cards and drank for about 5 hours. Around 10:30, one of the German girls decided to write “how beautiful is panama” in as many languages as we all knew on pieces of paper- apparently it was from a book from her childhood. We amassed 17 different languages, which involved awkwardly going to the other side of the island to get it in Hebrew. We put them into a wine bottle, which we set out to sea. All my friends on Senidup! 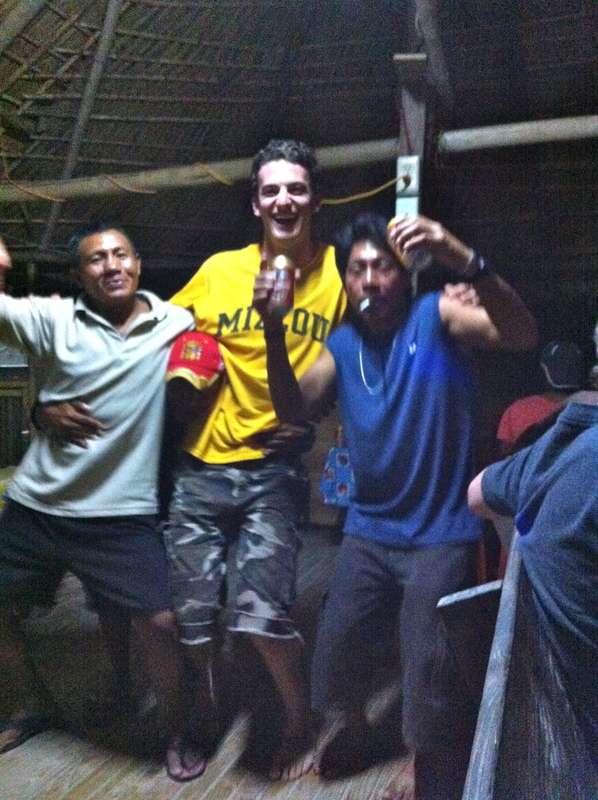 Dancing to Don Omar with the Kuna people. Eventually, it was only me and this one Kuna man dancing so I decided to check out the stars. Sitting on the beach, with no light pollution, under the canopy of a palm tree with the waves lapping at my feet, life seemed to feel pretty insignificant. All my worries, classes, ThurtenE stuff, family stuff all seemed to disappear. The other inhabited islands looked like small cities off in the distance. We then took pictures with everyone. Funny it felt like I was here a lot longer than just a day since we spent so much time together. I’m really going to miss everyone on Senidup. We all had one final beer with the natives at 8:50 am where we did the toast itamalando, which means “feel what you drink” in the Kuna language. 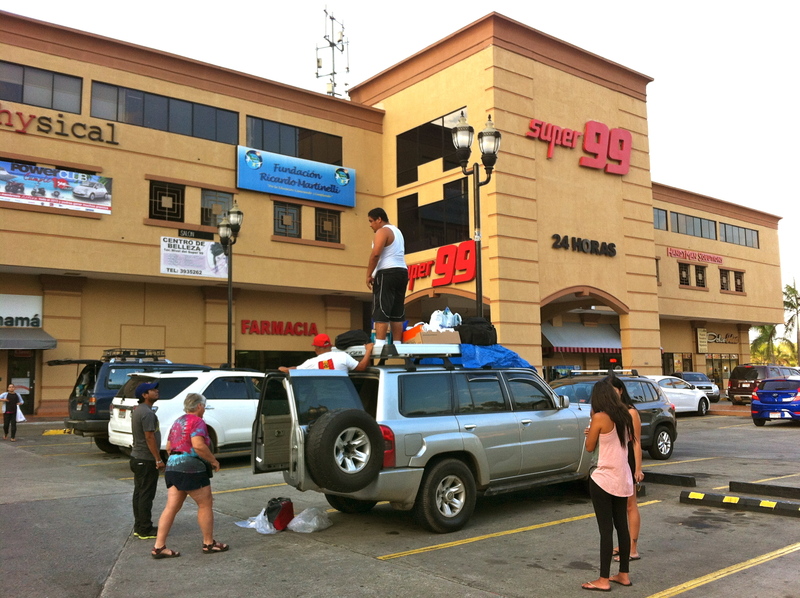 Heading back to Panama City via the boat and jeep took the majority of the day due to the crazy traffic in the city. We walked around Casco Viejo one last time. 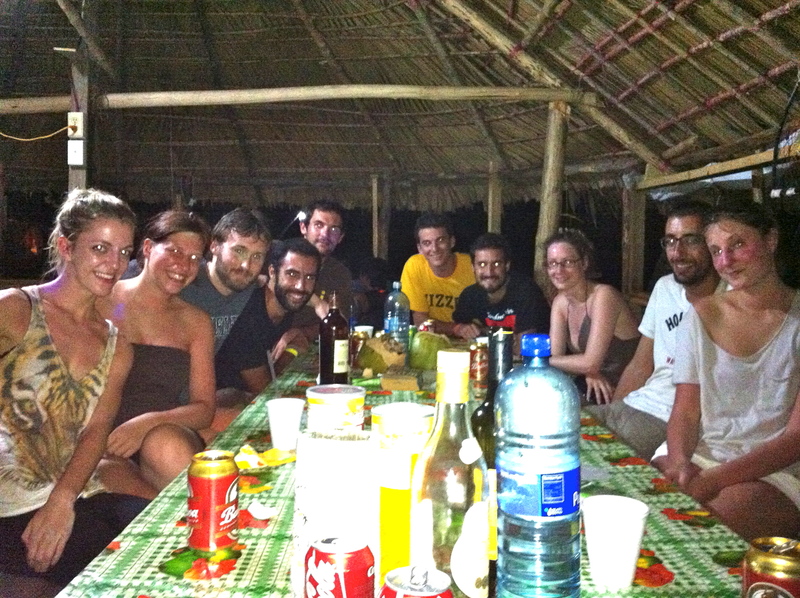 Then we had one final dinner with some of the Germans from the island before leaving for the US the next morning. The entire trip was so much fun and so diverse. I really could not recommend a better place for someone to go that is cheap, different, fun, and safe than Panama. Hello, I really apriciate your report about this Island. I have one question regarding the fence between Franklin and Senidup parto of island. It is possible to go to other part of island? Or you must be only on “your” side? It’s very easy to cross over to the other side. The island has only 1 beach that is shared by both sides. My hostel-Luna’s Castle- actually had a tour desk through which I booked everything. I had to pay the transport company, boat, and island separately. I would recommend going there for information. If I remember, transport was $60, the boat was $10 and the island was $20/night all inclusive.